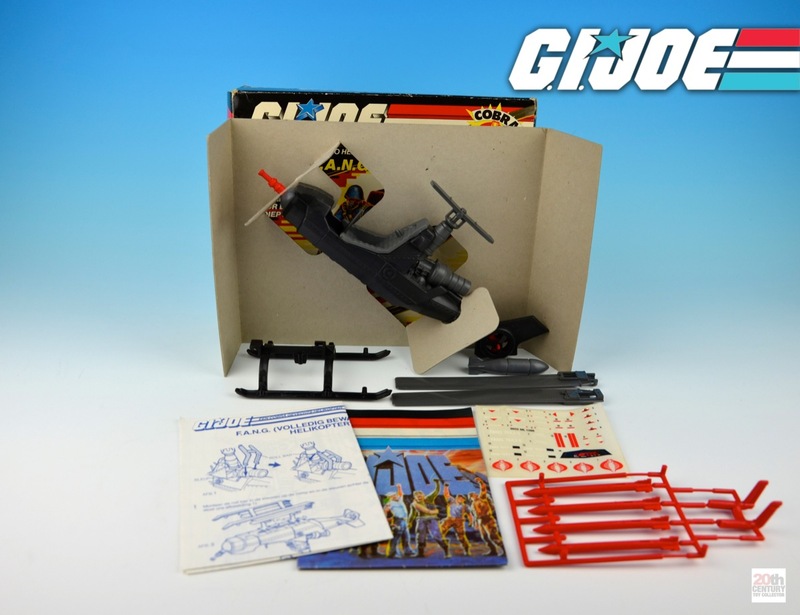 My introduction to G.I. 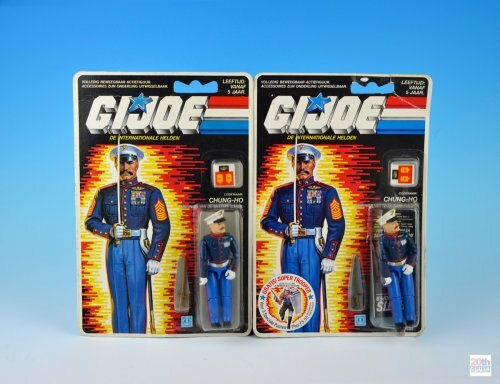 Joe occurred in early 1987, which is when I received the very first G.I. Joe mini-catalog showing the inaugural wave of G.I. 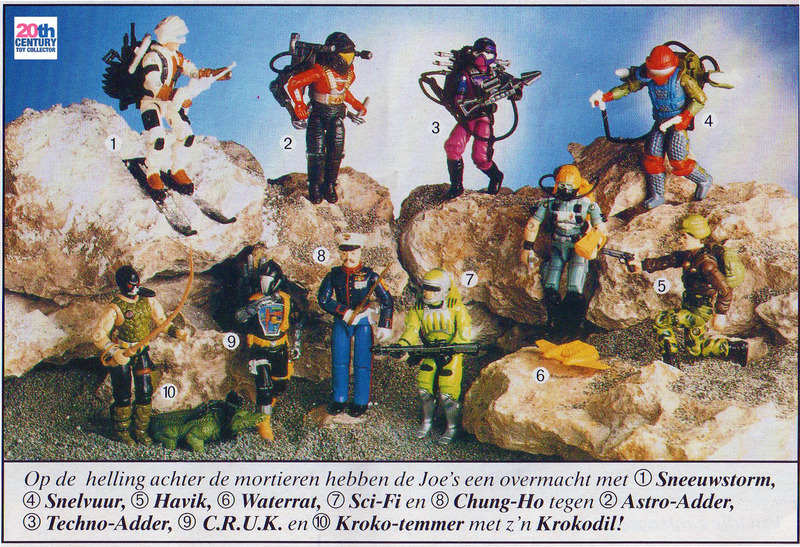 Joe toys that would hit Dutch toy stores in the spring of 1987. 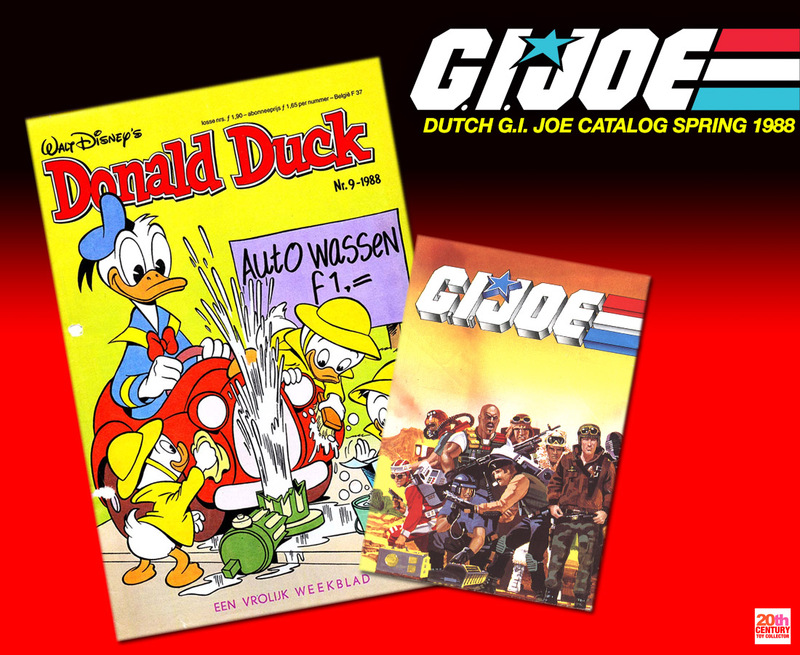 The catalog was included as an insert in the number 16 issue of the weekly Dutch Donald Duck comic in mid-April of 1987. 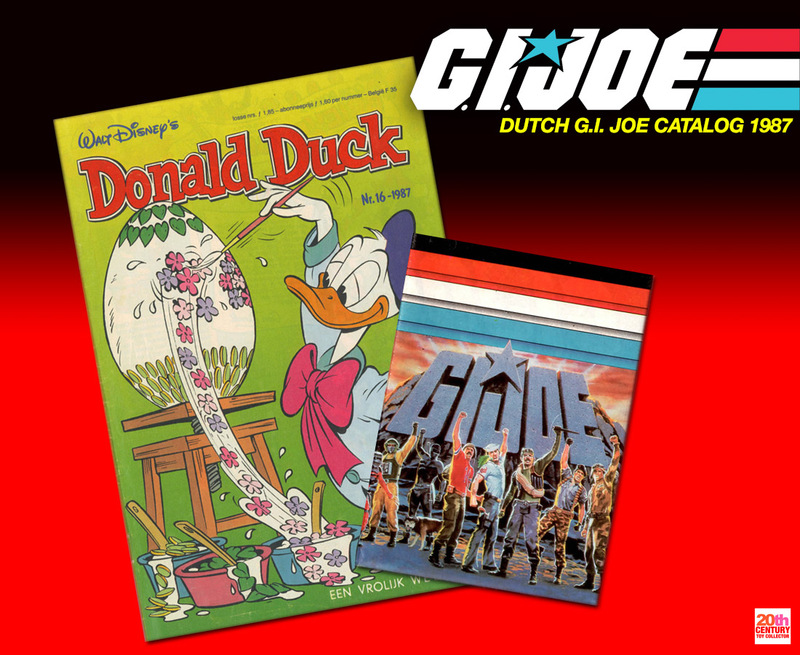 The Donald Duck comic had an impressive number of subscribers in the Netherlands running in the hundreds of thousands and that’s not counting newsstand and supermarket circulation. So it was often used as an effective method by advertisers to reach many Dutch boys and girls in the 1980′s (though inserts like these were probably only available to subscribers). I can’t recall exactly whether I was still a Donald Duck subscriber in early 1987, because my parents cancelled the subscription at some point in time, but I definitely got this catalog in the mail and I suspect it was sent to me directly by MB, because I was on their mailing list (I sent in my Transformers cut out points for the S.T.A.R.S. mail away offer in 1986). 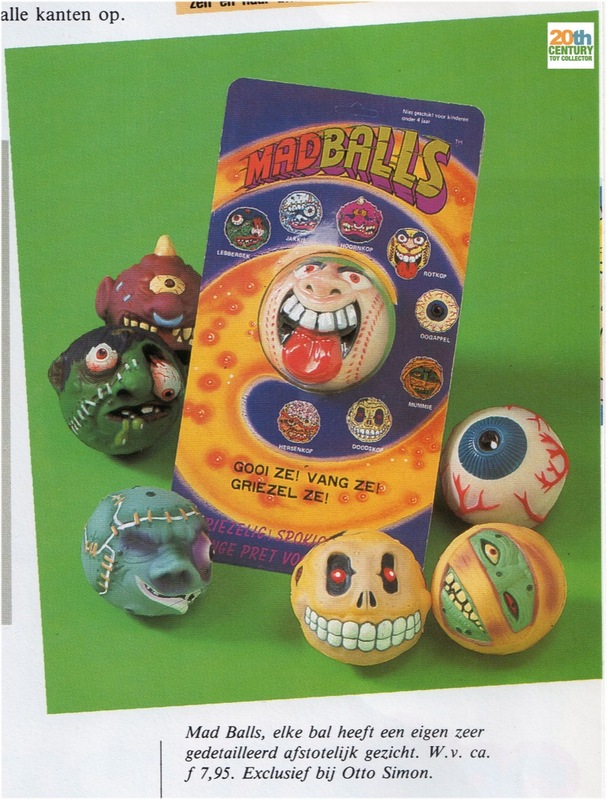 The catalog was also available as a pack-in with all the boxed G.I. Joe items that debuted in 1987. 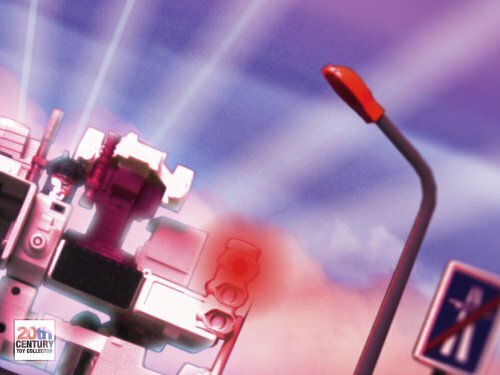 If you’re interested, a high resolution scan of the complete catalog can be found in a blog post I made here. Man, I fondly remember this catalog. 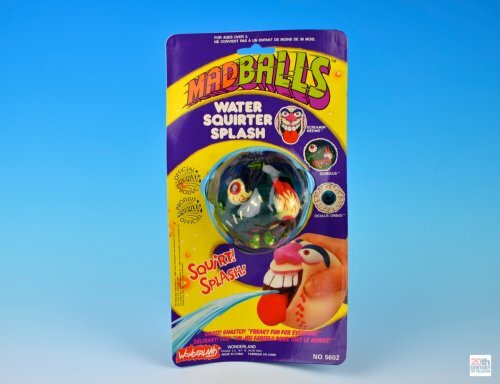 I knew every centimeter of this catalog by heart. 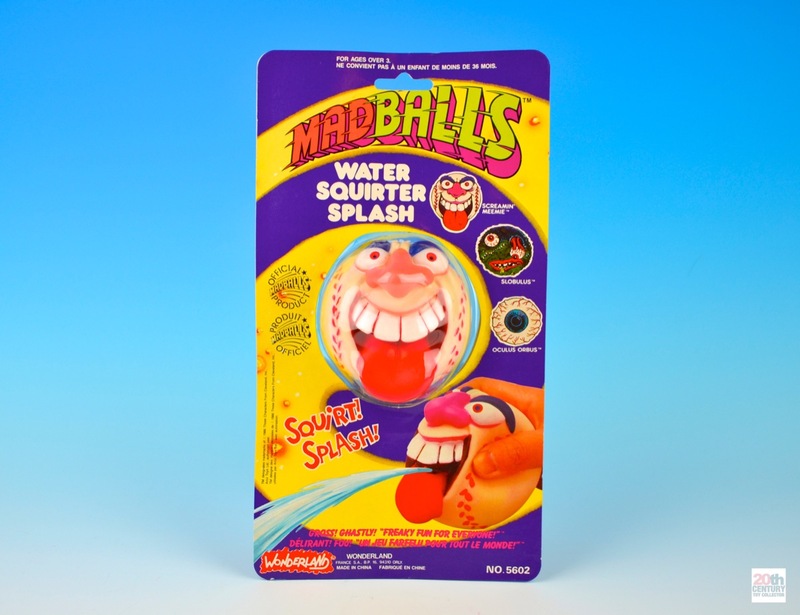 Most of my buddies and class mates also got this catalog through the mail around the same time (which is a testament to the effectiveness of MB’s advertising campaigns in the 1980′s, I guess). 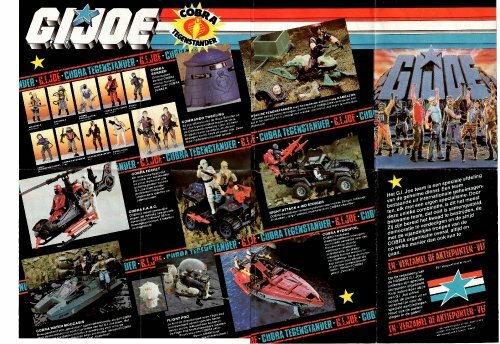 I remember some of us sitting in the school yard staring at this catalog and trying to determine which action figure was the coolest. Most of us agreed that Flint (or ‘Kei’ as he was called in the Netherlands) was the coolest of the good guys and he is still one of my favourites today! F.A.N.G. stands for Fully Armed Negator Gyrocopter and it was released for the first time in the US in 1983 as part of the second wave of G.I. 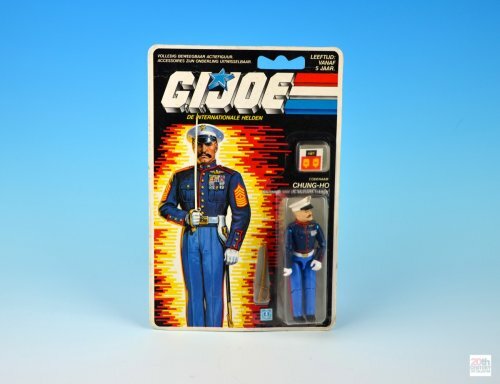 Joe toys. It was re-released in 1984 and 1985, before being discontinued in 1986. The F.A.N.G. 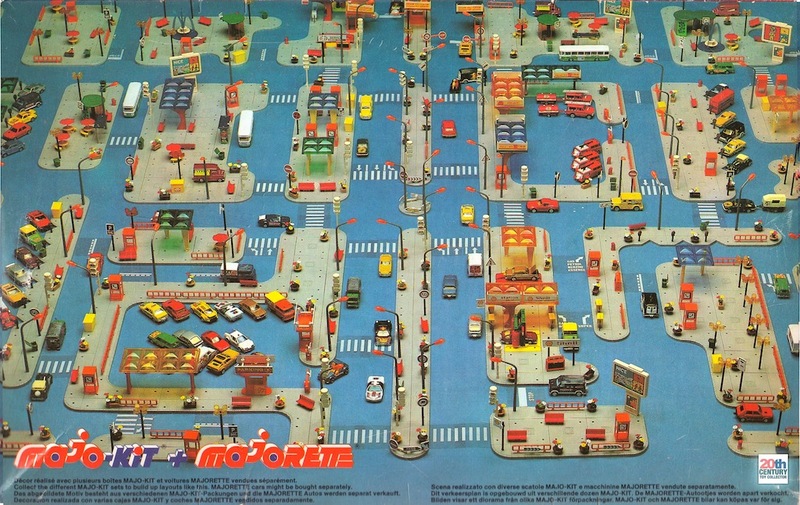 was released in the Netherlands (and the rest of mainland Europe) in 1987 as part of the first wave of G.I. Joe toys. The Cobra F.A.N.G. 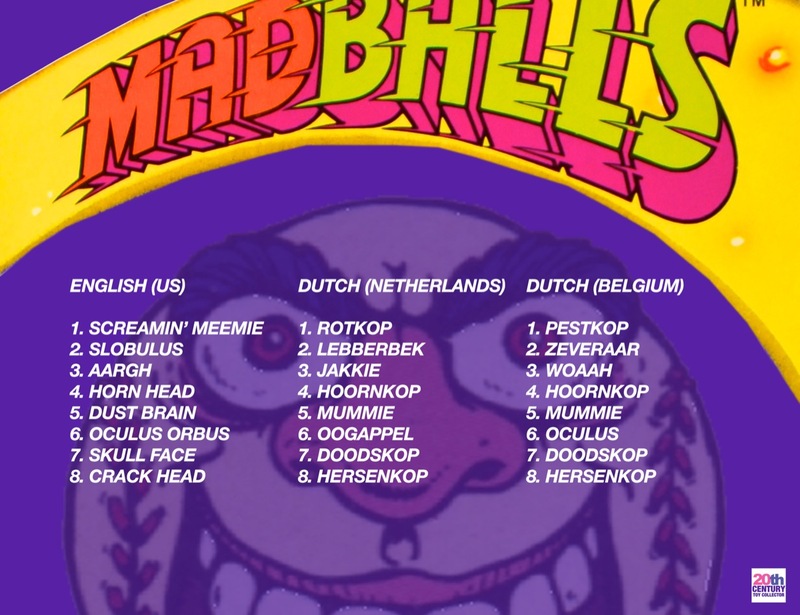 was called the same in the Dutch release, although the acronym didn’t really mean anything. The Dutch translation for F.A.N.G. was “Volledig Bewapende Vernietigings- Gyroskopische Helikopter”. I don’t exactly understand why the F.A.N.G. is called a gyrocopter, because gyrocopters usually have free floating main rotors and a smaller engine powered propeller at the back that creates the forward motion which is needed for the main rotors to start spinning and to create lift. The F.A.N.G. 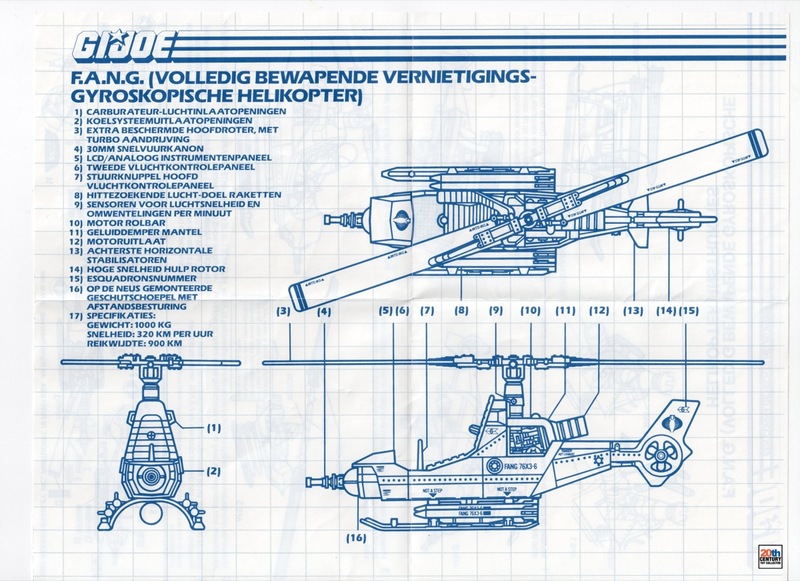 though looks like it has an engine powered main rotor (the engine is located right under the main rotor). The blueprints also tell us that the F.A.N.G. weighs 1,000 kilograms (2200 lbs), can reach speeds up to 320 kilometers/hour (197 mph) and has an operating range of 900 km (550 miles). It also comes with capacity for a total of four heat-seeking air-to-air missiles (two on either side of the F.A.N.G.) , a bomb and a nose mounted movable 30mm rapid firing cannon. Man, I just frickin’ love the detail that went into these toys. 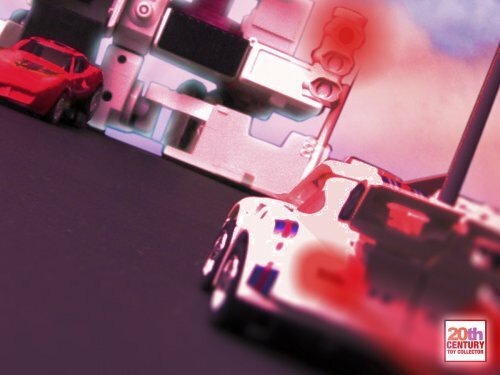 These enormously detailed vehicle blueprints combined with the character tech specs really stimulated my imagination when I was a kid (and still do!) 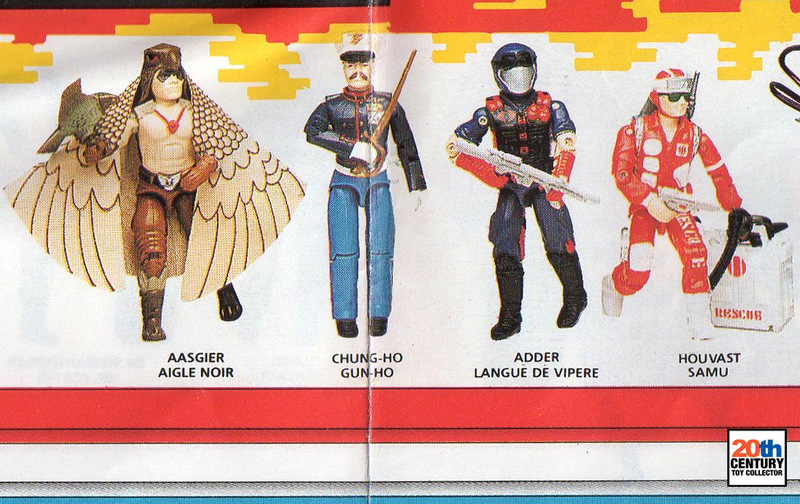 Hasbro certainly nailed the execution of this toyline in the 1980′s in my book. The Cobra F.A.N.G. 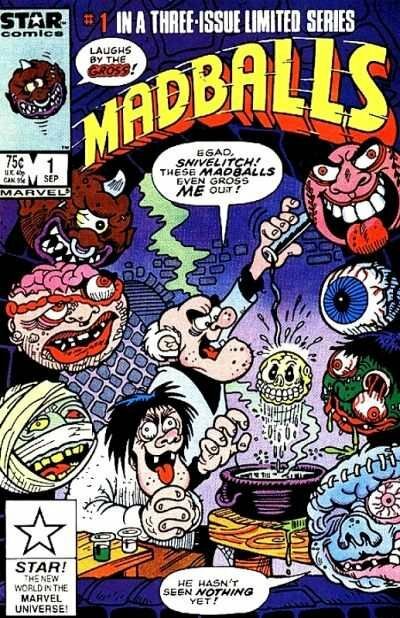 was re-released in the Netherlands in 1988. 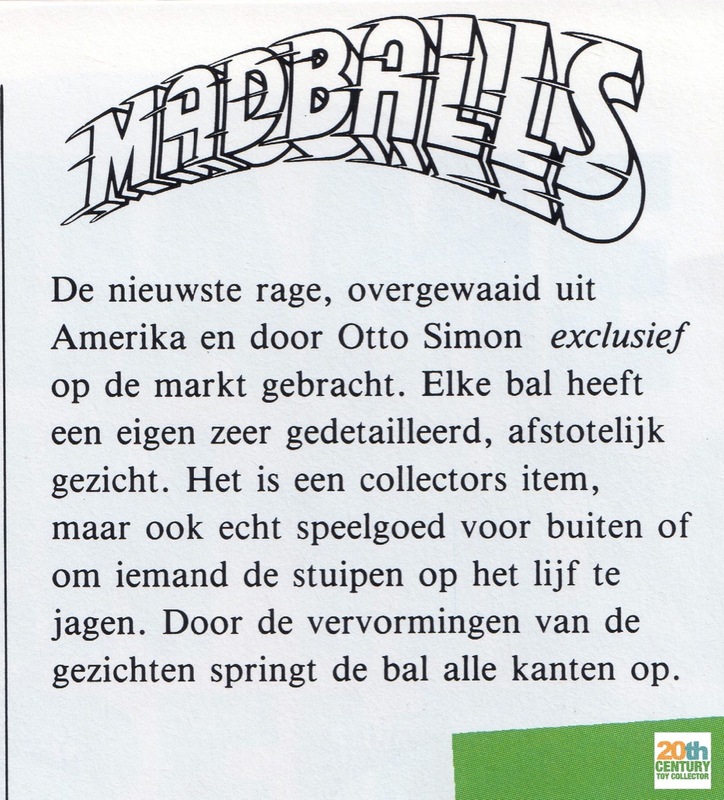 Here’s a photo from the Dutch spring 1988 catalog, which was (again) included as an insert with Donald Duck issue number 9 from early March 1988. Here’s a close up of the F.A.N.G. 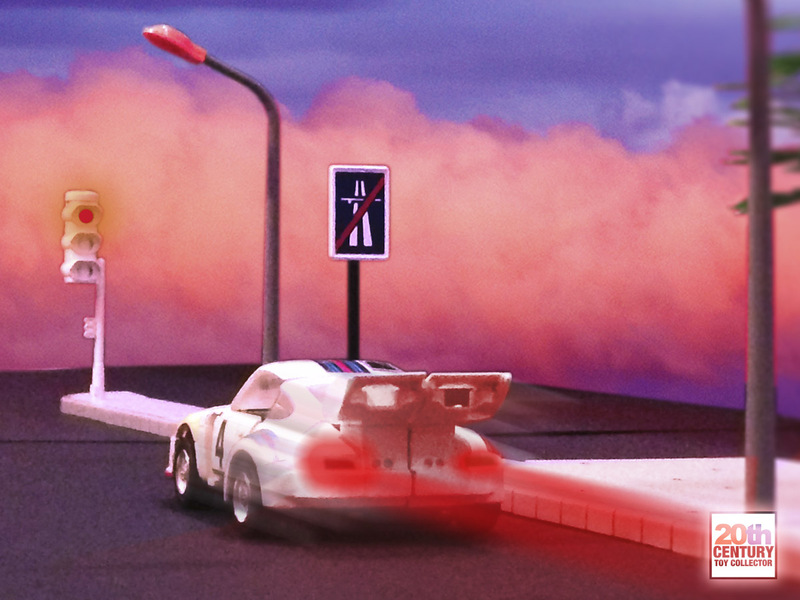 from said catalog, this time with Sneeuwzoeker (Snow Serpent) at the helm. 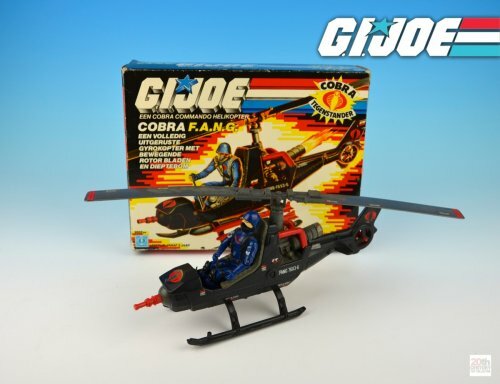 I scored my first Cobra F.A.N.G. in Dutch packaging in September of 2010 together with a boat load of other 1987 G.I. Joe vehicles in Dutch packaging. The F.A.N.G. and its packaging were in reasonable condition, but the bomb and missiles were missing as you can see in the photo below. I also placed a loose Cobra action figure inside the F.A.N.G. 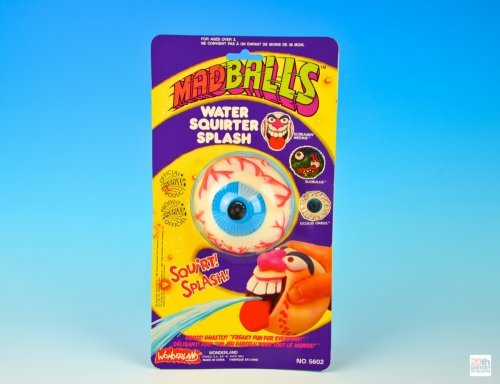 to match the artwork on the box (the F.A.N.G. did not originally come with any action figure). The Cobra F.A.N.G. was distributed in the Netherlands by MB International B.V. The G.I. 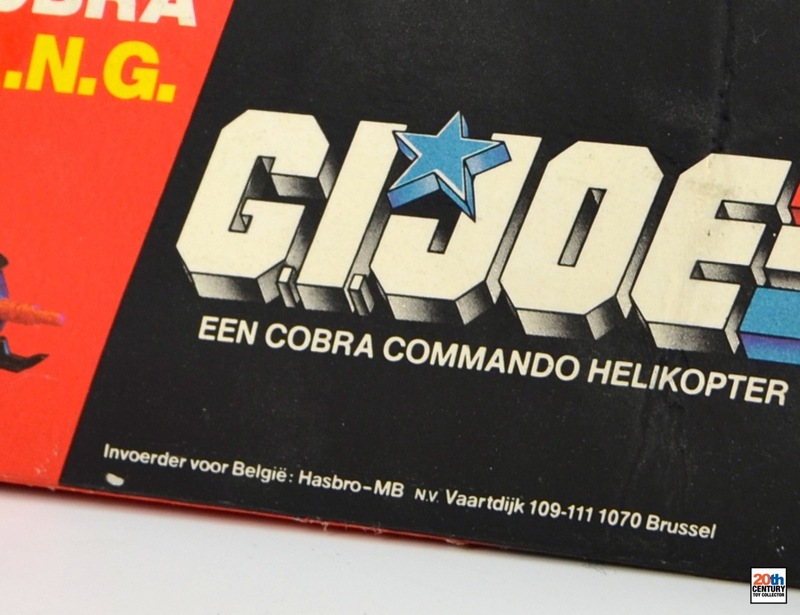 Joe toys carried the Hasbro logo on the packaging, but the truth was that at that time Hasbro was nothing more than a division of MB International B.V. in the Netherlands. 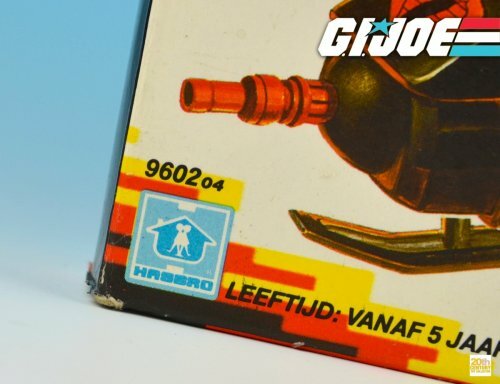 According to records I pulled from the Dutch Chambers of Commerce it was not until late 1991 that Hasbro Netherlands was truely founded as a private, limited liability company (or as is called in Dutch, a BV, a “besloten vennootschap”). Hasbro acquired MB in 1984 and in many European countries the various MB subsidiaries were used to distribute Hasbro toys, before everything was truely vertically consolidated in the early 1990′s under the Hasbro name. This particular version of the Cobra F.A.N.G. 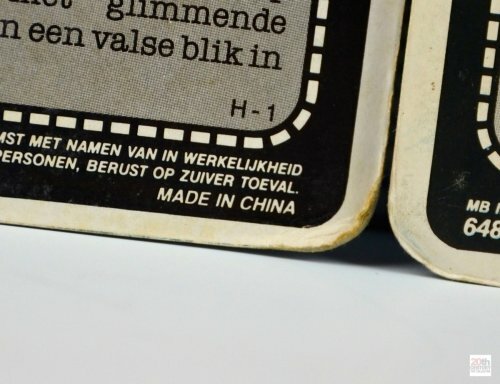 in Dutch packaging was also available to retailers in Belgium (in Flanders, the Dutch speaking parts of Belgium), which we can glean from the other side of the box. 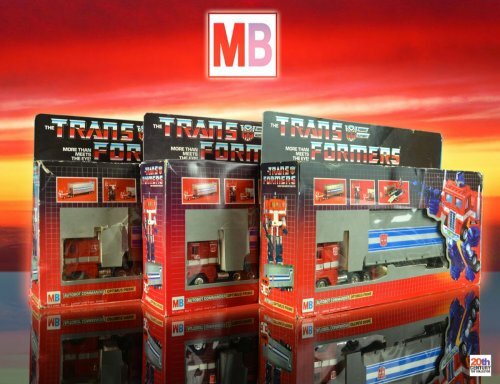 Distribution in Belgium was done by Hasbro-MB N.V., which was a subsidiary of MB International BV. 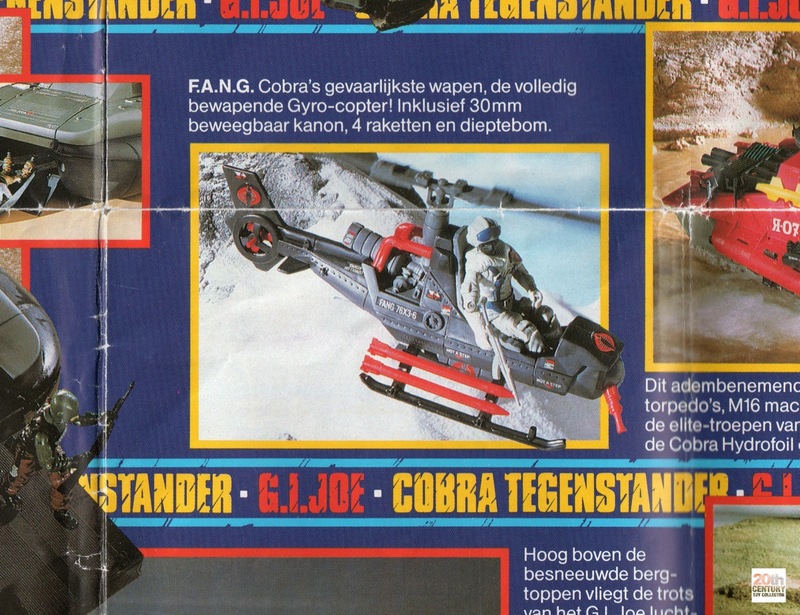 9602 04 – Dutch Cobra F.A.N.G. 9602 01 – French Cobra F.A.N.G. As you can see from the two photos above the European Cobra F.A.N.G. was manufactured in Waterford, Ireland. 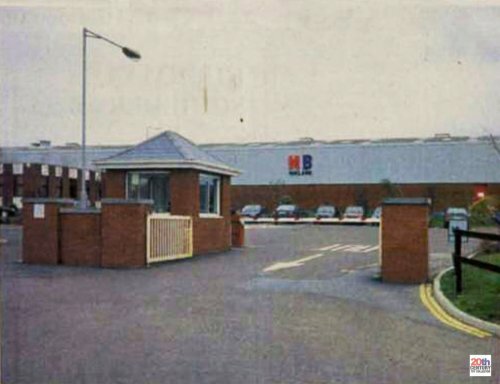 This used to be the location of the Irish subsidiary of Milton Bradley (MB Ireland). 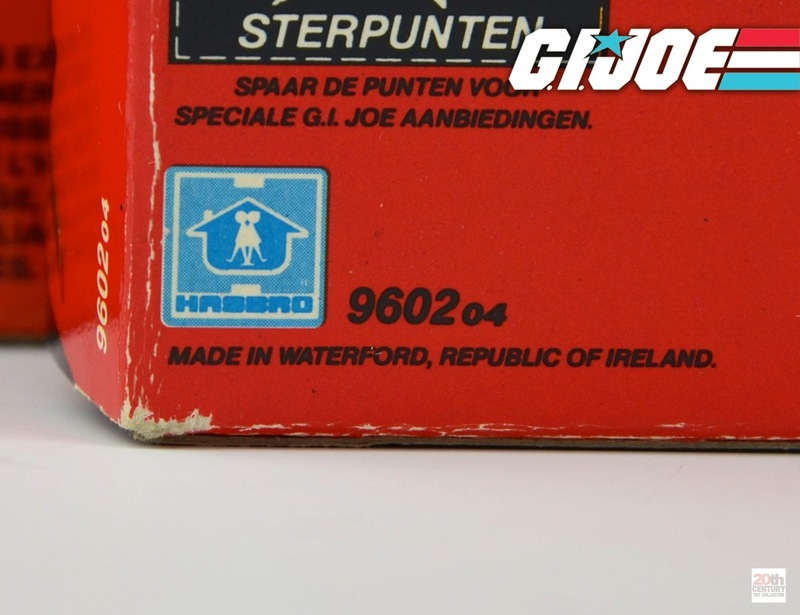 The Waterford plant was used a lot for the production of the early vintage G.I. 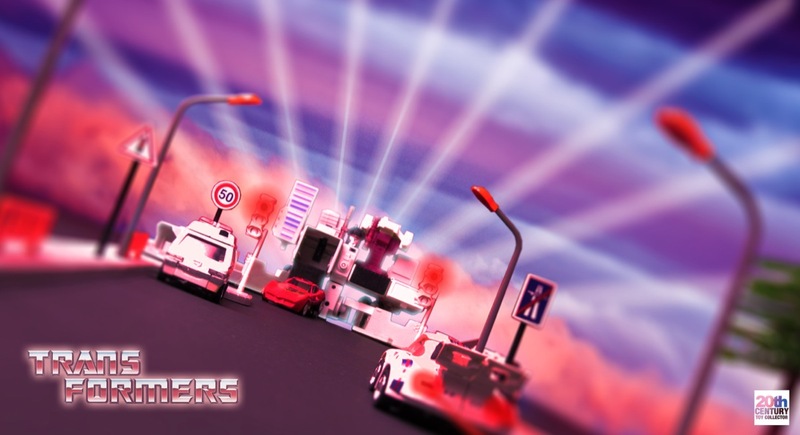 Joe vehicles for the European market. The G.I. 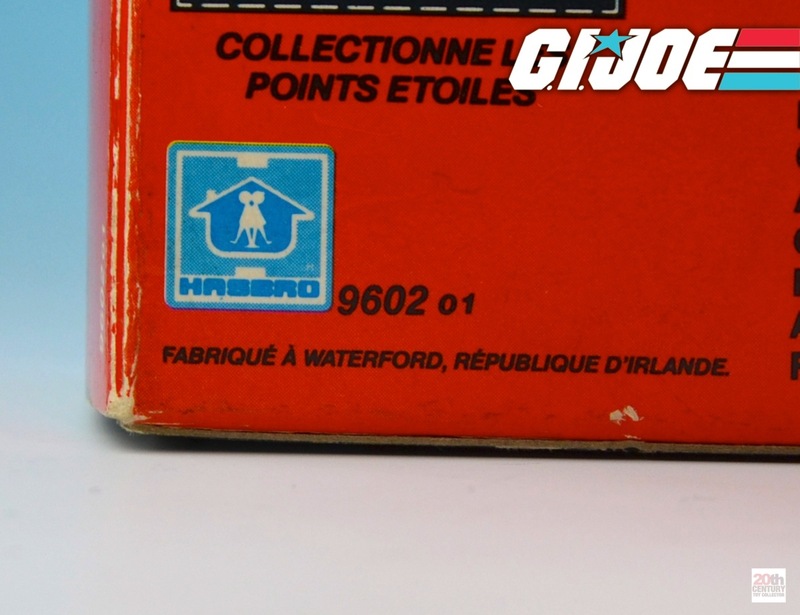 Joe action figures were made in Asia, but the vehicles were all made in MB’s Waterford factory in Ireland. This explains the differences which are often found between the American G.I. Joe vehicles and the European ones. The American G.I. 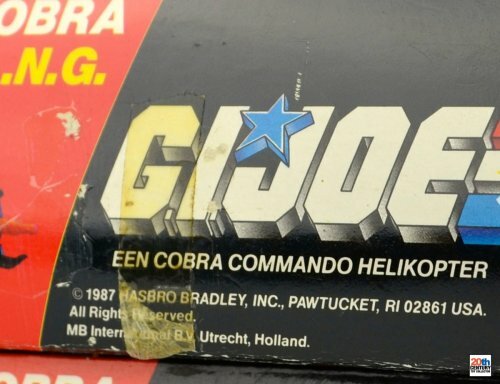 Joe vehicles were usually made in the Americas, Hong Kong or China, while the European vehicles were manufactured in Europe by MB. If only things were as “simple” as that. Just last week I found a collector who was selling off a couple of Dutch G.I. Joe boxes and I cleaned him out, because I could use some of the boxes he was selling as upgrades. One of the boxes that was part of the lot was another Cobra F.A.N.G. box. 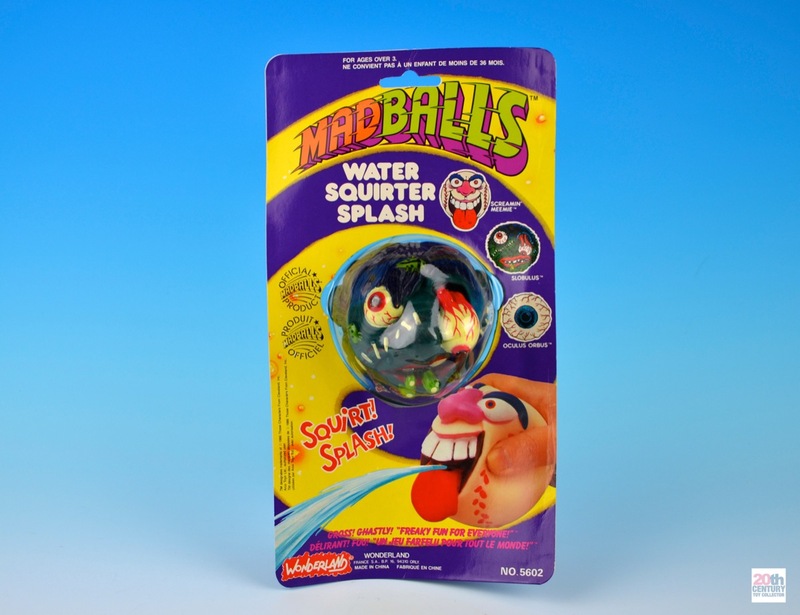 I compared this new box to the one I already had and dammit, there’s a difference…. It appears that there was a second production run of Cobra F.A.N.G.’s in Europe and this one was in Valencia, Spain! Are you still with me? :-) Well, it appears we once more have two European G.I. Joe variants of the same toy on our hands (just like the two Chung-Ho variants in post number 94). We have a Cobra F.A.N.G. made in Waterford, Ireland and another made in Valencia, Spain. It is not a real surprise that the second variation was made in Valencia, because guess what! MB also had a manufacturing plant there. MB International B.V. used to have a Spanish subsidiary called MB España S.A. based in Valencia. 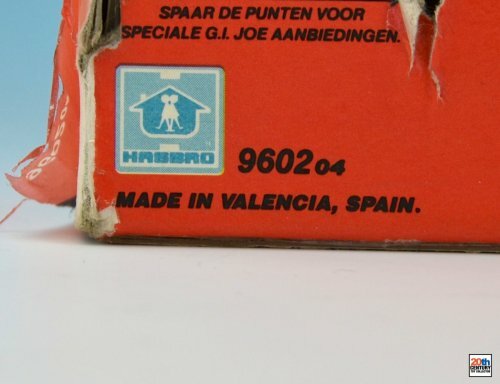 MB España S.A. was responsible for the production of various Hasbro products for the European market and distribution in their domestic market in the mid to late 1980′s. Amongst other things they manufactured G.I. 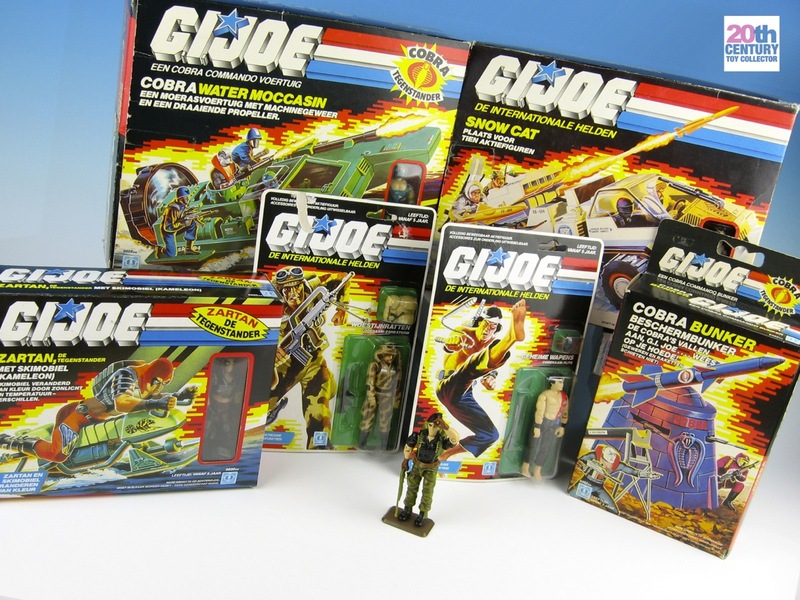 Joe vehicles, Jem dolls and Battle Beasts (or “Bestias de Combate” for the Spanish market). If you look closely you can see that the address information has changed. The Waterford, Ireland made F.A.N.G. has an address in Brussels at the Louizalaan 386, while the Valencia, Spain made F.A.N.G. has an address at the Vaartdijk 109-111 in Brussels. It just so happens that I know that Louizalaan address of Hasbro-MB N.V. is from 1987, because I have a Benelux Ultra Magnus from 1987 that has the same contact information (discussed in post number 90). So the logical conclusion would be that the Waterford, Ireland made F.A.N.G. is the 1987 release and that the Valencia, Spain made F.A.N.G. is a second production run available in 1988! 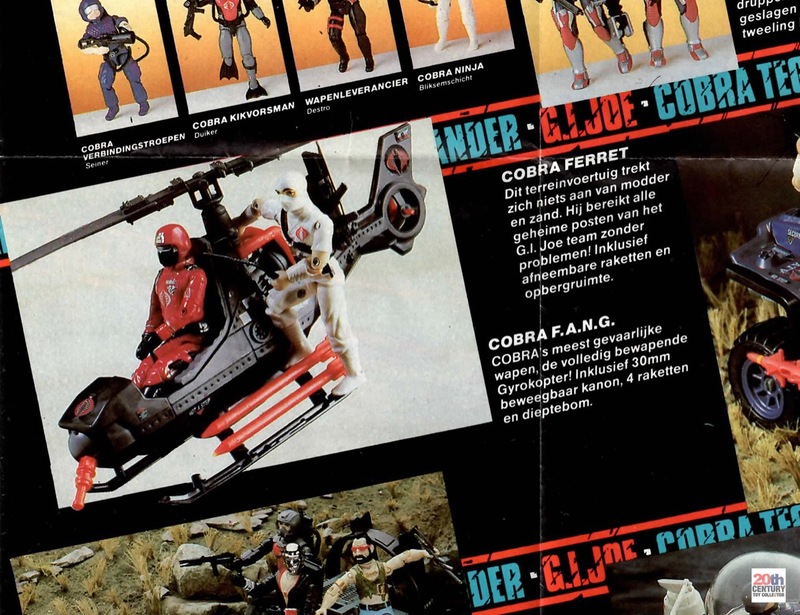 So that’s the Cobra F.A.N.G.! Although I already knew that most (or all?) of the European G.I. Joe vehicles were made in Europe instead of Asia, I did not realize that production was moved from Waterford to Valencia. If anything, it gives an insight into the production and distribution side of things, which is like peaking behind the curtains to me. :-) It will be an interesting exercise to compare the production/manufacturing info on the packaging of the other G.I. Joe vehicles I have and see if any other patterns come to light. Nerdy fun! I love to collect vintage G.I. 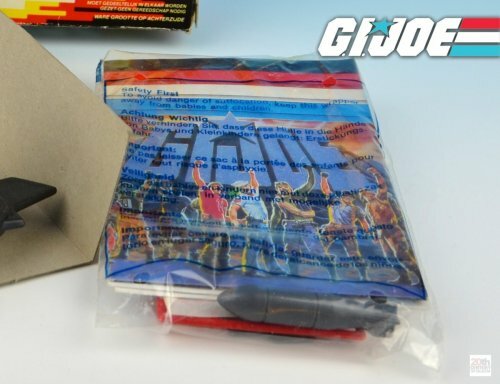 Joe toys in their original Dutch packaging. 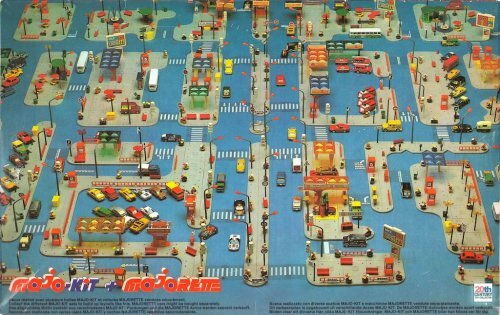 I was born and raised in the Netherlands and fondly remember seeing the all-Dutch packaging in my local toy store back in 1987. The Netherlands (or “Holland” as it is often colloquially referred to) is not exactly a big country in Europe. All the more exciting that we got G.I. 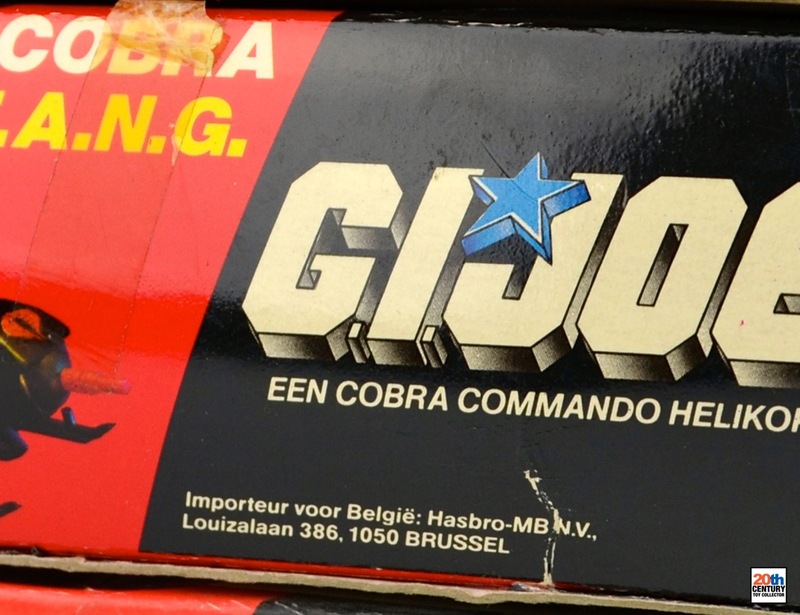 Joe toys with fully Dutch translated packaging in the stores between 1987 and 1989 (from 1989 onwards we had to make do with bilingual French/Dutch packaging). 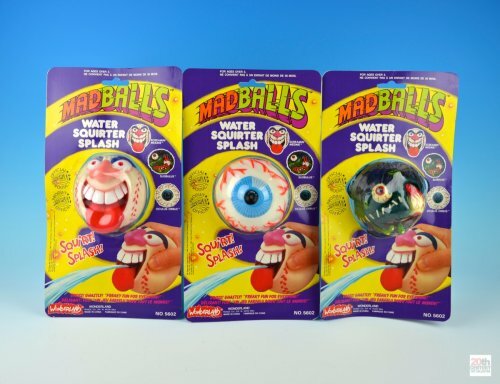 These early G.I. 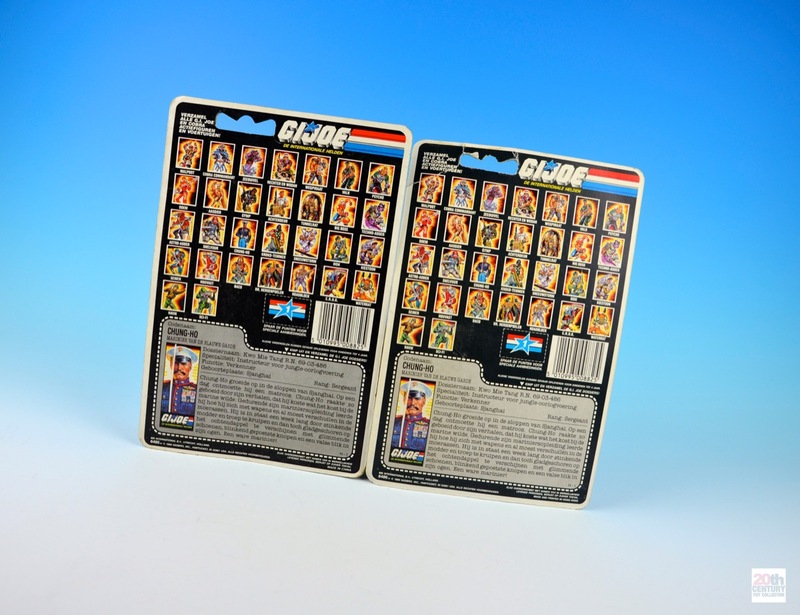 Joe releases (1987, 1988 and 1989) in all-Dutch packaging are some of the hardest to find of all the European variants, especially the action figures. 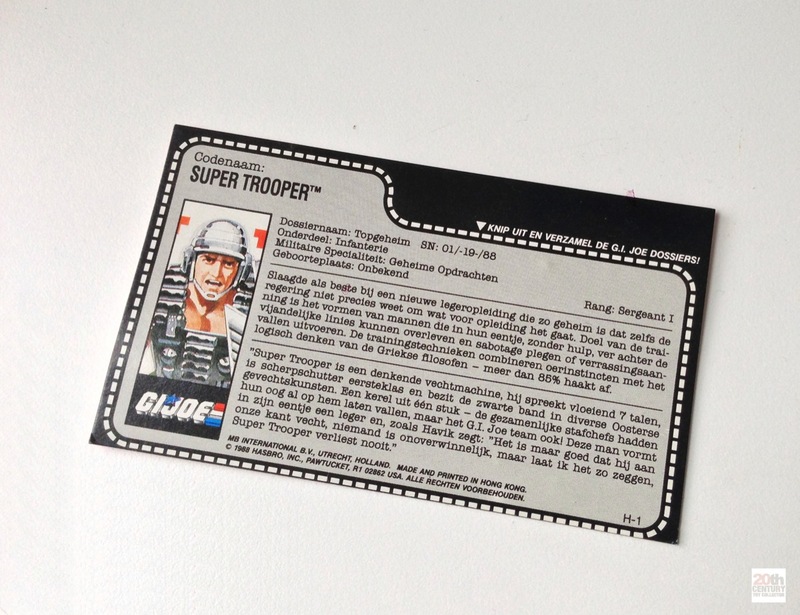 I currently own a handful of carded G.I. Joe action figures in Dutch packaging and Chung-Ho was the very first MOSC (mint on sealed card) specimen I found about two years ago. I recently stumbled upon a second Dutch Chung-Ho action figure still mint on sealed card and didn’t hesitate to pick it up. The reason I decided to purchase it is because I saw what I believed to be a sticker on the bottom left on the card that wasn’t present on my first Dutch Chung-Ho and my interest was peaked. 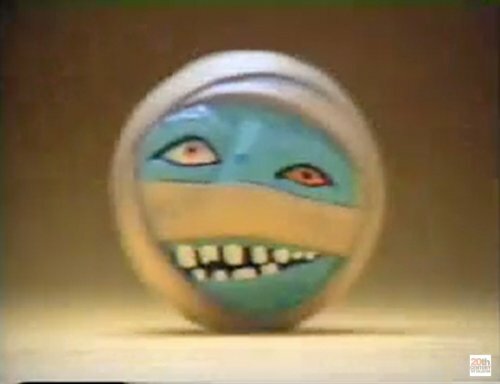 The sticker looked like it was one of those mail-away special offers that were all the rage with Hasbro back in the 1980′s. G.I. Joe – Chung-Ho (1988) MB International B.V. Imagine my surprise when this second Chung-Ho arrived in the mail and I found out that it was not a sticker at all! It was part of the actual print on the card. 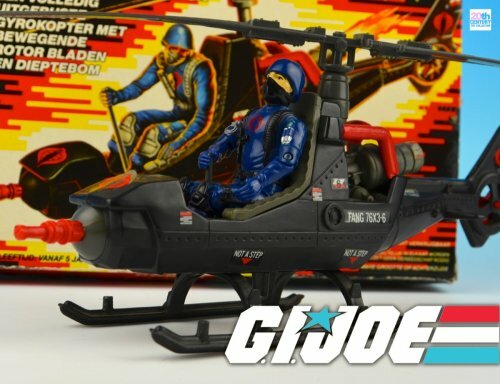 This means that there were two different releases of this action figure in the Netherlands (possibly also in the other European countries where MB were responsible for the distribution of G.I. 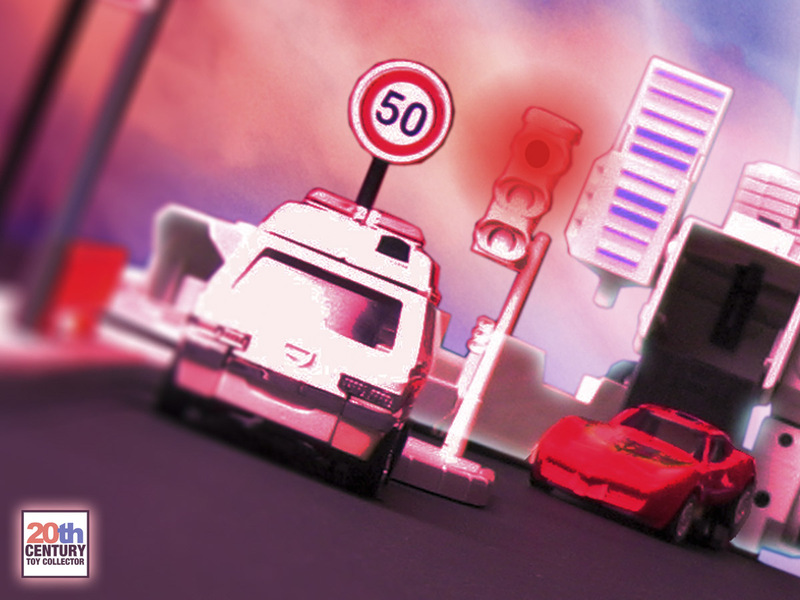 Joe toys). I frantically compared both items to see if there were any other differences besides the mail-in offer promotion on the front of the card. There were no easily discernible differences between the action figures themselves from what I can see without removing them from the packaging. But lo and behold, it seems these two variants do have one other difference on the packaging. 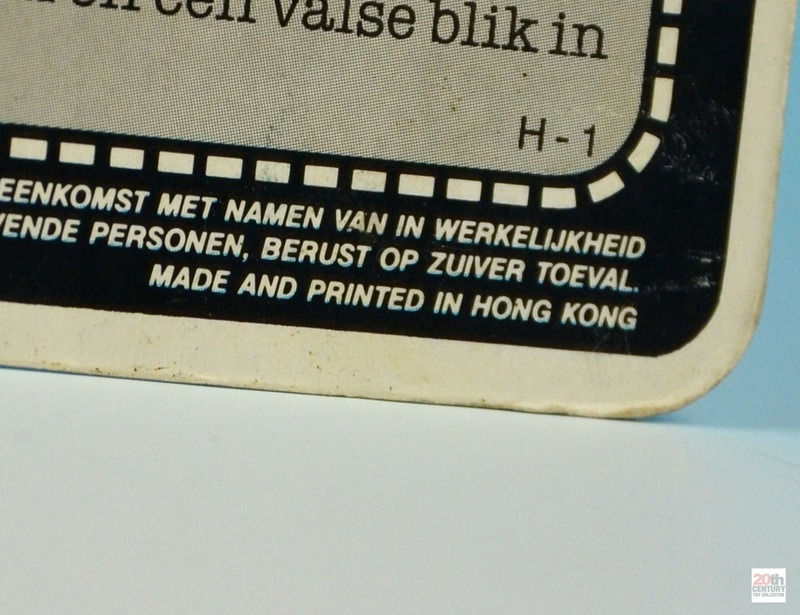 The first Chung-Ho card says the product was manufactured in China, while the second Chung-Ho card (the one with the special offer promotion) says it was manufactured in Hong Kong! Note that although today Hong Kong is officially part of China, in 1988 Hong Kong was still a British colony, so these were two seperate sovereignties. It was only in 1997 that Hong Kong became part of China. I love finding out stuff like this. Previously I had just assumed that there was only one version of every Dutch G.I. Joe release, but this finding throws that assumption squarely out of the window. So I started pondering how these two different releases would fit chronologically speaking. Were they available in stores simultaneously? Or did one come before the other? To try and answer that question I dug up my Dutch G.I. Joe catalogs. Although Chung-Ho is primarily considered to be a 1989 release, he was already available from late 1988 according to the European G.I. Joe FAQ. The release date of the Benelux G.I. Joe catalog that first shows Chung-Ho certainly supports this, because this catalog probably debuted around the fall of 1988. The date code on the catalog mentions October 1988, while records indicate that the weekly Dutch Donald Duck magazine/comic came with a G.I. Joe catalog insert with issue 38 in late September 1988, which is almost certainly this same catalog. So it’s not entirely unthinkable that Chung-Ho, advertised in a fall 1988 catalog, was available in time for the December holiday season of 1988. Chung-Ho is also seen in the 1989 Dutch G.I. Joe catalog, which came in a comic book like form. There’s no date that I could find on that catalog, but it was probably released late February or early March 1989, because Donald Duck issue number 12 of 1989 came with another G.I. Joe insert. 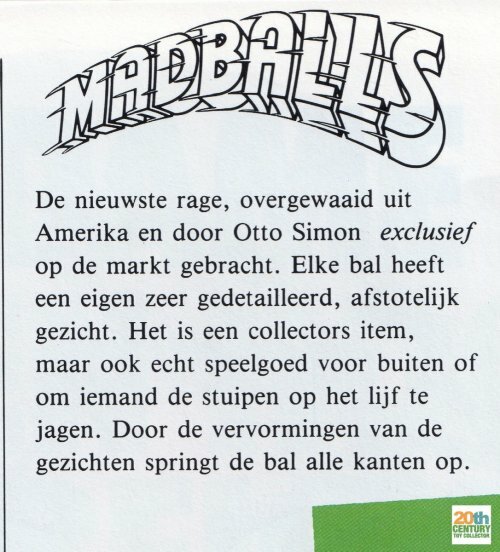 The catalog looks like it was co-produced with Dutch Marvel comics publisher JuniorPress, re-affirming a suspicion I’ve long had, which is that JuniorPress and MB International BV (the name of the Dutch MB subsidiary) had a more than average publisher-advertiser relationship. So Chung-Ho was probably available from late 1988 and all through 1989. But what does that tell us about the order in which the above two Chung-Ho variants were available? Well, the most important clue to dating these two variants would lie in the variant with the mail away offer. 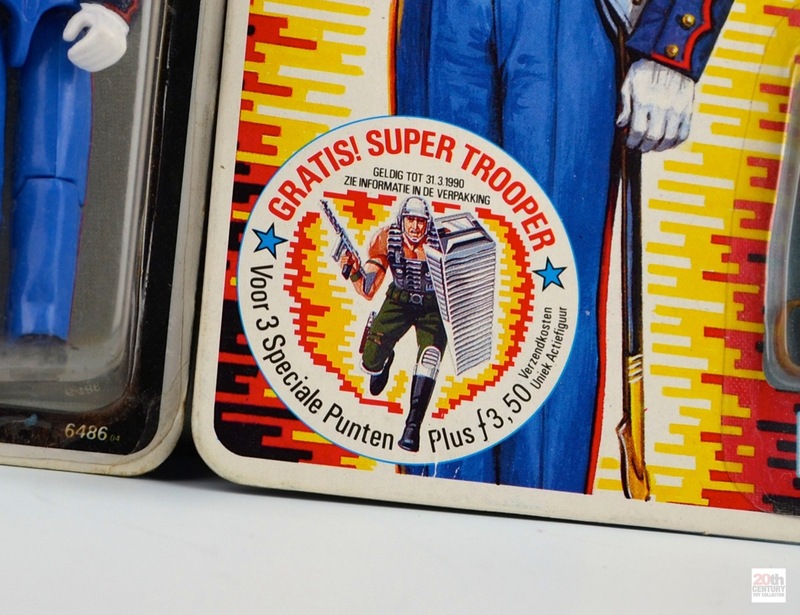 The version of Chung-Ho with the Super Trooper special offer was probably the second/later release that was only available well into 1989. Why? Well, because if you look closely at the Super Trooper offer sticker it says it’s valid until March 31, 1990. It’s much more likely that this version of Chung-Ho was released in 1989 than in late 1988, because late 1988 until late March 1990 seems like an awfully long time for a mail away offer to be valid. 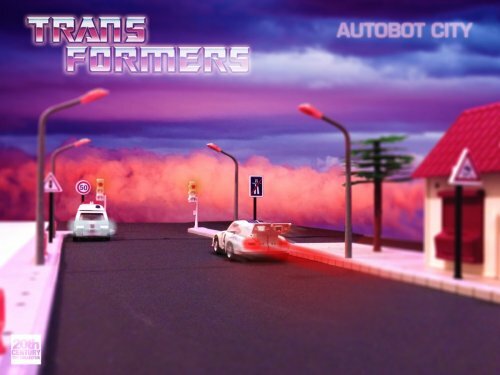 Most Transformers and G.I. 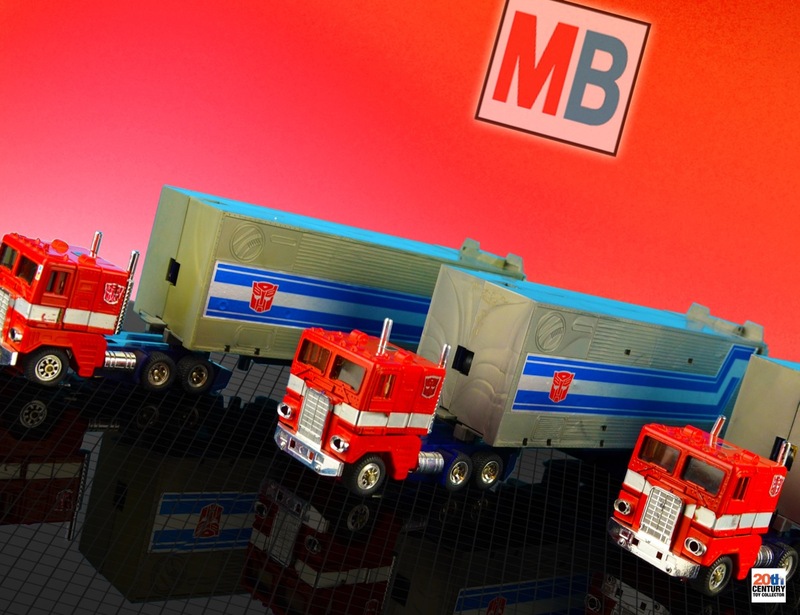 Joe mail away offers that MB International B.V. ran in the 1980′s would usually run for about 6 months, maybe a little longer, but certainly not 18 months.